The Austrian-based betting company is new Official Partner of the EHF European Handball Championships. Zug, Switzerland / Linz, Austria, 16 November 2009 – The international sports marketing company Infront Sports & Media – EHF EURO marketing partner of the European Handball Federation (EHF) – has secured bet-at-home.com, the Austrian-based betting company as a new Official Partner of the EHF European Handball Championships (EHF EURO). The sponsorship agreement covers the 2010 (19 – 31 January) men's tournament in its home territory of Austria. It contains a comprehensive package of rights including: board advertising; floor advertising and brand exposure in print media. bet-at-home.com plans to activate its involvement in handball with a range of on-site promotional activities as well as having its logo on the official Event Homepage www.ehf-euro.com. The EHF European Handball Championships takes place every two years and brings together the best men’s and women’s handball teams in Europe. The 2008 event was the most extensively covered and viewed tournament in the history of European Handball Championships. Infront Sports & Media had secured broadcast agreements with more than 70 broadcasters, including a record number of radio stations. Overall, the tournament was broadcast in 85 territories — particularly in Europe, the Middle East and Asia — with 1,100 programme hours watched by a cumulative television viewing audience of more than 1.2 billion. This magic billion-plus figure now stands as the new viewing record for a single European Championship event and equals the combined viewing audience from both the men’s and the women’s tournaments in 2006.
bet-at-home.com AG is part of the Mangas Gaming group, a leading European company in online gaming and sports betting. With currently 1.8 million registered users from all European countries and listed on the Frankfurt stock exchange, the company is one of the most popular betting providers in Europe, especially Eastern Europe and German speaking countries. 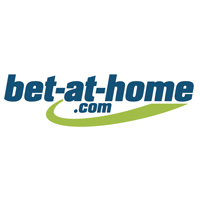 bet-at-home.com AG has holdings in Germany, Austria and Malta and offers sports betting, casino, games and poker on www.bet-at-home.com.